between nature and human beings"
Ulpotha’s natural charms lend themselves readily to a deeply satisfying experience of Yoga. If ever there was a place made for Yoga, Ulpotha is it. Though Ulpotha was not planned at the outset as a Yoga centre, Yoga very quickly took its central place in the Ulpotha experience through a series of serendipitous events. Having done so, it is hard to imagine a place better suited to the practice of this ageless discipline. Yoga is mainly practised in the Yoga Shala, which is essentially an open-sided hall with a teak wood floor that lets in nature’s charms, from gentle breezes to bird song. Occasionally your instructor will lead you to other beautiful outdoor spots enabling a deeper communion with nature and a profound healing experience. A variety of Yoga styles are on offer to suit a wide range of preferences. Each of our highly experienced and world-renowned instructors are proficient in providing just the right mix of encouragement and challenge to every individual, no matter what their level of yoga practice. You will leave Ulpotha with added yoga knowledge and a renewed motivation to continue your practice at home, both on and off the mat. Ulpotha has had the honour of hosting some of the world’s leading Yoga teachers, who in turn have offered their gift of Yoga to Ulpotha’s guests. 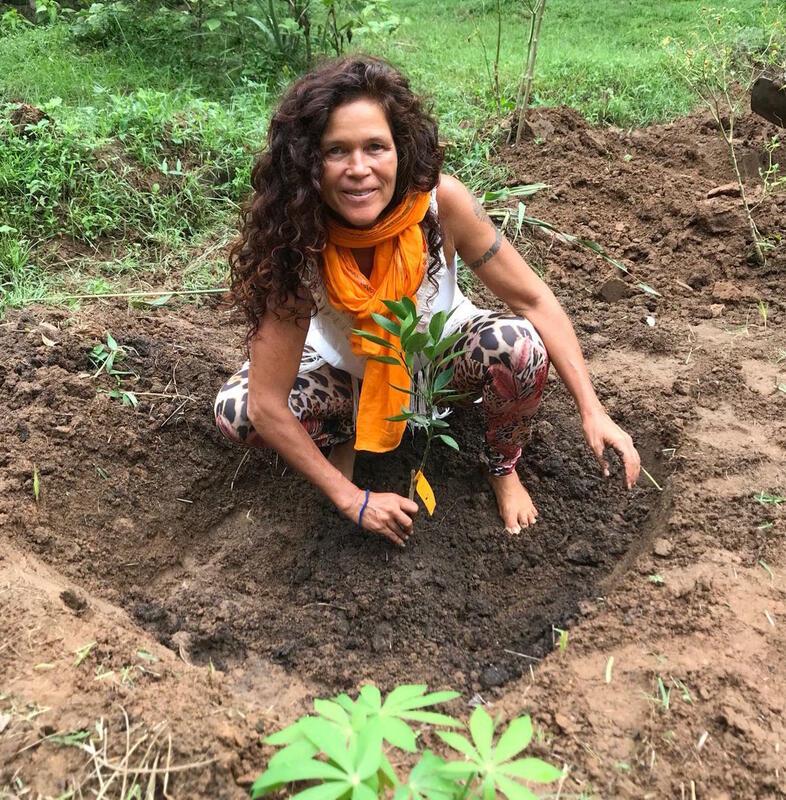 A leading figure in the Bali and international Yoga world, Gypsy Bast has been dancing since a child and teaching both Yoga and Pilates for over 20 years. Wherever she teaches, she has a habit of offering her greatest dharma, which is to help people feel good and move freely with lasting pleasure. She has been a teacher, healer, and performer for over 23 years, with a practice that evolves from backgrounds of dance, theater, yoga, pilates, and somatic movement therapies. After surviving 10 car accidents, and numerous dance and stunt injuries, Gypsy restored herself 100% by applying exercises that she learned from healing trauma, as well as her lifetime of study. Using these modalities of healing, and living positively, she feels it is possible for everyone! She is known for her fun, uplifting attitude, and practices meditation, Yoga Nidra, and loves chanting mantras to connect to the Divine peace within all. Gypsy has traveled the world teaching yoga retreats and performing, and has had opportunities to train the Cirque du Soleil’s “Totem” and “Corteo” shows in yoga and pilates. She coached children “at risk” of drugs and violence with Yoga, and even did an international tour as a dancer/aerialist, hanging upside down from a chandelier (a great one for neck pain!). Gypsy helps us intelligently discover and source our own energy power with practice… and joy! Morning classes at Ulpotha will begin with a grounded Meditationand Dynamic Hatha Flow. Using creative sequences, tune into the present moment, breathe, align, and learn adjustments. Listening to your body’s language will allow your true spirit to move freely throughout you. Posture and precision for each individual will be a focus. Peace, softness and ease is cultivated and all levels are welcome. Evening classes will explore Somatic Movement and Restorative Yoga where the parasympathetic nervous system can be addressed and stress levels reduced in the nerve body. Classes will end with a slowing down and finish gently with Yoga Nidra relaxation. 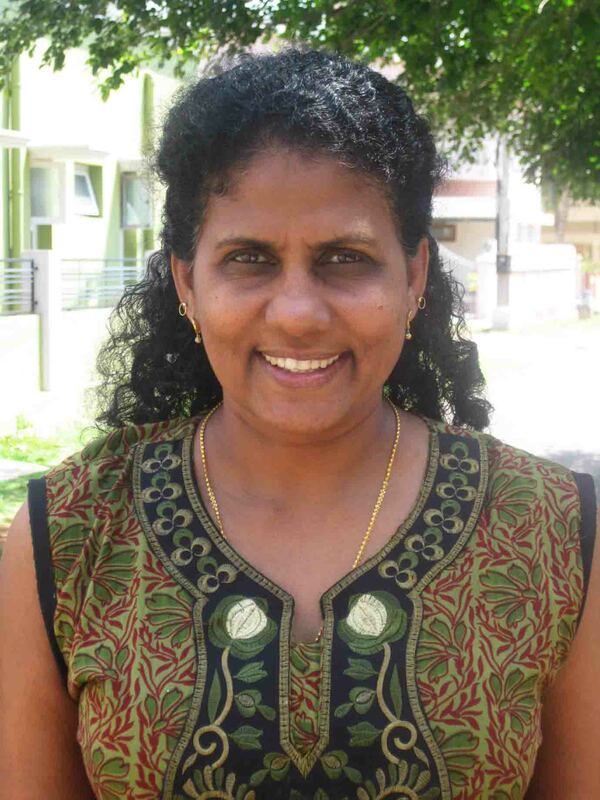 Padma Nair is a native Keralan who, unusually for an Indian woman, has developed a strong reputation internationally. Padma is highly educated in Yoga, Sanskrit, Psychology, and holds a Masters in Indian Philosophy. Padma first trained in Hatha Yoga in 1980, qualified as a teacher with Sivananda’s Yoga Acharya in 1997, Yoga Siromani in 2001. She qualified to teach Ashtanga Vinyasa Yoga from Mysore in 2013. (Since 1980 Padma has been studying yoga with many teachers all around the world). Warm and humorous she has been teaching Yoga and Chavutti Thirummal (a deep form of Ayurvedic Massage complementary to Yoga) for over 28 years to her students all around the world. Welcoming all levels from beginners to the more experienced, Padma’s yoga is traditional and classical – fusion of three different schools – gentle Sivananda, precise Iyengar and energetic Ashtanga. With this wide repertoire of approaches, Padma’s teaching can take into consideration that each individual is different. Every class has a different energy as she tailors the guidance to suit her student’s needs. Padma is a gently challenging teacher, over 4 or 5 days she watches what you are capable of and senses when, in a safe manner, you can do more than you believed possible. At these points she gives you individual guidance and support. In inelegant moments, there is often a peal of laughter, you try again and your range expands! 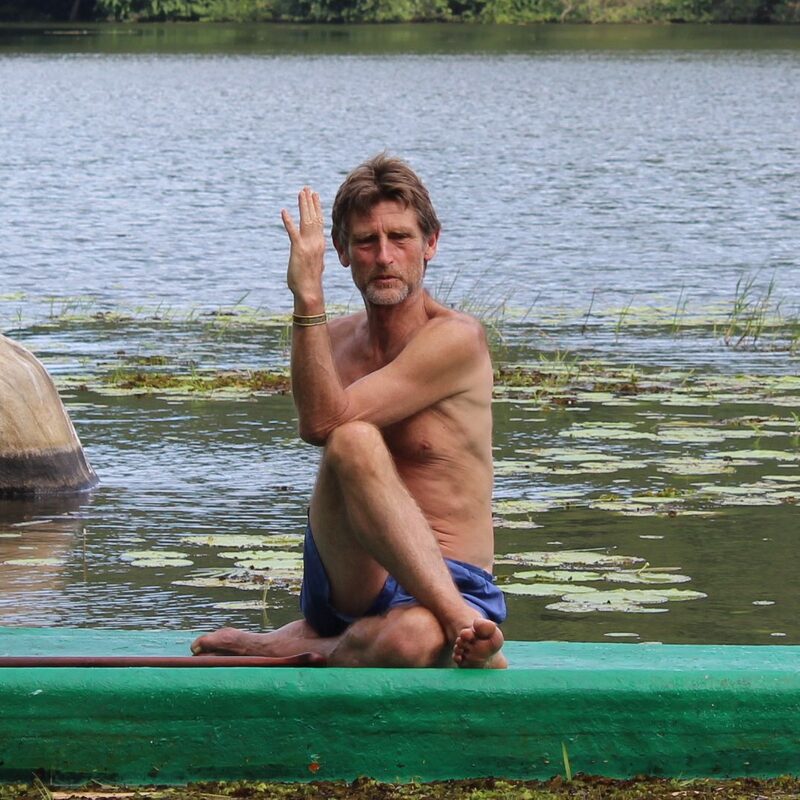 Nigel Gilderson has been teaching yoga in the UK and on retreats around the world since 1997. He is the founder and senior teacher of Brockwell Lido yoga centre in London. 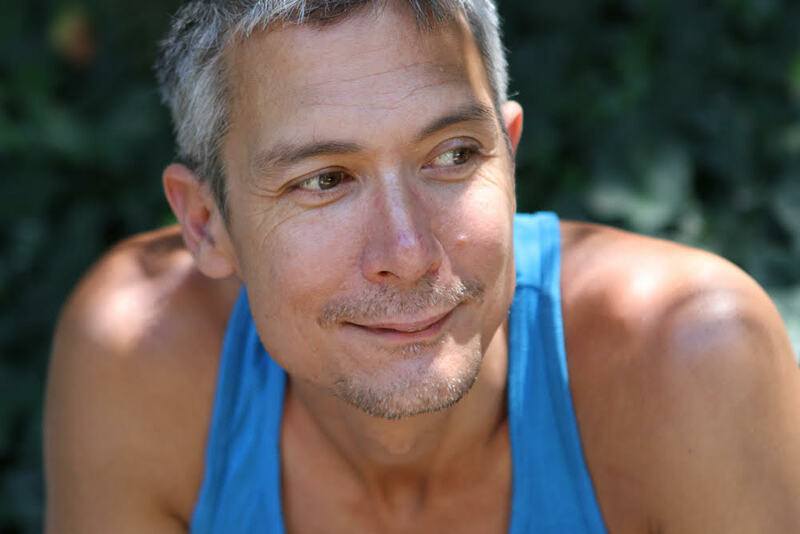 Nigel’s teaching has evolved over the years and incorporates a blend of many yoga styles, with influences from tai chi and shadow yoga and Alexander technique integrating the celebration of the heart, universal principles of alignment, and balanced energetic action in the performance of asana. Each student’s abilities and limitations are deeply respected and honoured. The practice builds strength, flexibility, and stamina as well as bringing awareness to the internal: creating, capturing and cultivating energy. 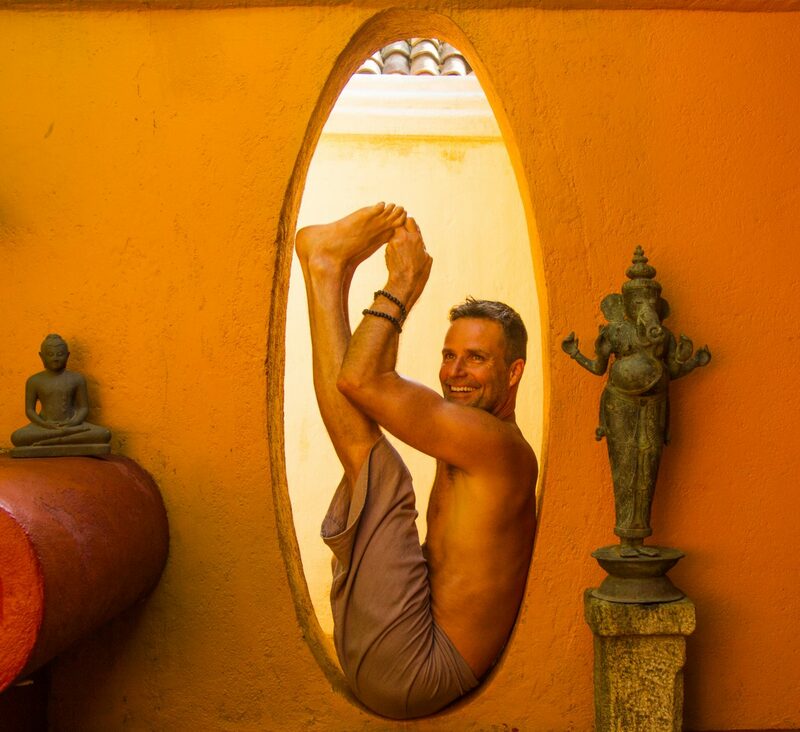 Rob Hess is one of California’s most experienced and fun teachers of Prana Flow – a delicious blend of gentle flowing but deep asanas, incorporating restorative, therapeutic, meditative and spiritual practices centered around the heart. Rob’s Teaching has evolved and has come a long way from where he began practicing in Cleveland Ohio to his days teaching in Washington DC to now living in Ventura and owning a studio (Jai Rhythm) with his business partner Colin Brightfield. What drew him to the practice of yoga was the physical part but after years of study and devotion it’s the spiritual part of the practice that feeds his soul. And through this amazing journey he found his home in the Prana Flow community with his teacher Shiva Rea. While Rob’s style is ever evolving, Rob’s teaching is rooted in Prana Flow: a synthesis-oriented approach to living the art of yoga created by his primary teacher, Shiva Rea. Born from the traditions of classical yoga, Bhakti, Tantra and Ayurveda, Prana Flow integrates various forms of spiritual embodiment practice to reveal yoga as a flow of unity consciousness. Rob has traveled all over assisting Shiva’s workshops and teacher trainings. And through her guidance he loves to share with others all that he has come to know and hold dear to his heart. Rob’s style of teaching is fun, challenging, and lighthearted as he tries not to take life too seriously. He encourages students to enjoy the journey rather than fighting to get to the destination. Rob has been leading workshops and trainings all over the U.S. and loves how the power of yoga is universal, that no matter where he goes you can feel an amazing sense of community and love. Rob has found that through his own sadhana, yoga can free the body and mind from the self limitations we impose on ourselves and that through practice we are able to get in touch with the very essence of who we are. His goal as a teacher is to help students uncover their own personal truth and live a life that is empowered. People will experience a fun and playful journey to the self. His teachings are open to all levels. Whether you come to Ulpotha to relax or you come to challenge your practice, Rob will be offering something for everyone. Gingi founded the Shala in London as a dedicated ashtanga yoga centre in 1998. 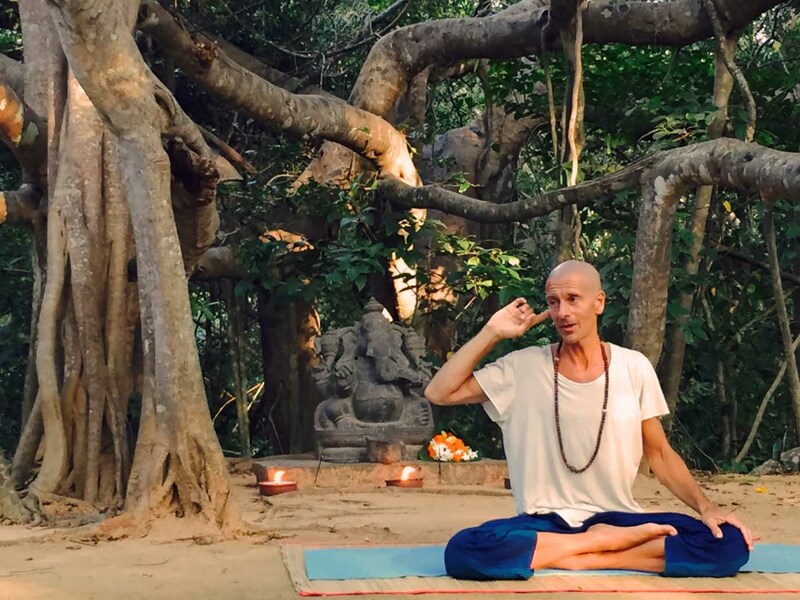 He has been teaching yoga for over 20 years and is one of the UK’s most established ashtanga yoga teachers. Gingi began studying and teaching martial arts in the 1980s with his father, Sensei Richard Taibong Lee. During an early trip to India, Gingi came into contact with yoga and spent many years returning to India to study and devote himself to the discipline. For two years he apprenticed with the late Derek Ireland, completing a final training course in Goa. He then went to Mysore to continue his studies with Sri Pattabhi Jois and then completed a two-year teacher training course with Graeme Northfield of Australia. Gingi has hosted many yoga holidays and workshops in the UK and abroad, including combined retreats with John and Lucy Scott, and Kristina Ireland. He continues to run regular workshops and retreats, which often include elements of pranayama, meditation and tai chi. He is a well-respected teacher who has remained at the forefront of the ashtanga yoga community. He has taught, trained and inspired many British ashtanga yoga teachers and has played a key role in popularizing ashtanga yoga in the UK. His teaching is characterised by sensitivity, warmth and a deep commitment to the practice. Based in Oslo, Norway, Michael Larsen has been holding space for Yogic exploration full time since 2011 at several yoga studios, privately and to corporate clients. A top level Senior Teacher of Master Duncan Wong, Michael belongs to the first generation of Duncan’s Yogic Arts senior instructors in Europe. His practice started at Eight Treasures Yoga, Norway’s only donation based studio, as one of the first students of the founder John Bentham. After training with Duncan Wong in 2012 he has hosted and assisted Duncan with his Yogic Arts 200hrs TT program in Oslo, France and Thailand. Prior to discovering yoga, he spent a year at Siping Shaolin Martial Arts academy in Northern China where he learned the foundations of Chinese Martial Arts and was introduced to Taiji, Qigong and meditation. For the past 2 years he has been studying massage therapy and will be a certified therapist summer 2018. He is now a father of two. His teaching style encompasses the heart of Martial Arts, the purification of ashtanga vinyasa and the healing touch of massage. His classes are creative, fun and informative, and focus on grounding the nervous system to optimize movement and posture and ensure that the physical practice brings students into deep relaxation for savasana, after opening and strengthening the body through Asanas in order to permit them to go deeper in meditation. In Ulpotha, the morning practice will consist of meditation, mantra chanting, pranayama, empowering Vinyasa flows with wave motions, warrior stances, some arm balances, hip-opening and intelligent modifications of finishing poses specifically focusing on safety and effectiveness for even the tightest backs. Michael’s refined approach to assisting and alignment makes the practice accessible and challenging to all levels, giving variations to meet the individual needs of each student. In the evening practice, Michael will be teaching a rhythmic breathing pattern with gentle, calming movements, yin poses and guided savasana to tune inward towards where sleep awaits. Jovinna Chan, E-RYT 500, leads transformational programs around the world in the art and science of being fully alive through Conscious Dance, Yoga, and Meditation. Born and raised in a village in Singapore, she infuses her life and work with a sense of reverence and awe that she learned from the temples and forests that surrounded her home. Jovinna spent eleven years in New York City as a Performing Artist and six years in studying Shotakan Karate. She has served as the Assistant Dean, and teacher trainer for the Kripalu School of Yoga in Massachusetts USA. Currently, she is a faculty member of Pranotthan School of Yoga and the co-director of the year-long Acharya Intensive program. In recent years, Jovinna co-founded Shakti Initiation Yoga Leadership School and A Wild Life Sanctuary™. She is a certified Soul Motion™ and LetYourYogaDance Teacher. During this retreat Jovinna will lead daily Hatha yoga classes with meditation and yogic philosophy. She invites you to come reconnect with your body, reduce the chatter of the mind, relax and rejuvenate your whole being while creating space for the flow of aliveness in you! Samanta has been dedicated to mind-body health for over 20 years. 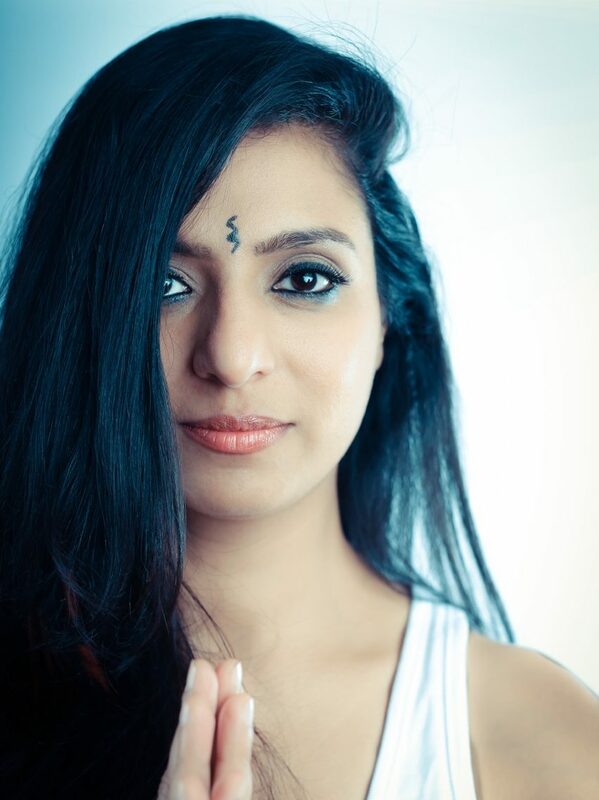 With a lifetime spent practicing Yoga, Jazz Technique and Bharatnatyam, she is able to combine unique perspectives about wellbeing, healing and physiology. Samanta’s work centers on Hatha Yoga, Vinyasa Yoga, Ayurvedic and Thai Massage Therapies, Diet /Nutrition and Vedic Chanting. In July 2008, she partnered with Shaleen Parekh to open India’s first boutique yoga studio, Yoga Sutra. Samanta started out in fitness as a teenager, and her journey into the body traversed 15 years as an instructor and lead performer with noted choreographer Shiamak Davar. She then transitioned into practicing and teaching Yoga in the year 2000. Over the last thirteen years she has explored and mastered several healing therapies for the mind and body. She is an Advanced Teacher of the Sivananda Yoga tradition, and is also certified in Yoga Therapy, Yoga for children, as well as Pranayama and Dhyan (Breath work and Meditation). She has designed and teaches corporate yoga and fitness programs, collective and private classes and international retreats. For more information see www.samantaduggal.com. Each class at Ulpotha will leave you feeling joyous and peaceful. Find inner strength in mind and body like never before. 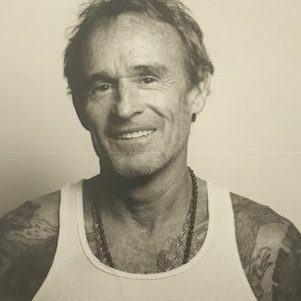 Wade found yoga in the late 90’s during his travels and since then has made it his passion to discover alternative techniques for furthering growth of mind and spirit and for healing the body. He’s taught in Asia, Greece, South America and the U.S. and is always excited about sharing new discoveries. His teaching style is structured but at the same time very playful and always gives options of openness, depth and strength so that everyone will be challenged and can share their energy. The Advaitic principles of ‘oneness and non separation’ are the dharmic principles to his teachings. Mick is a 1000hr Teacher based in Sydney. 200hr Samadhi, 300hr Jivamukti, 500hr Jivamukti mentor and Advanced cert Jivamukti teacher. Registered with both Yoga Australia and Yoga Alliance. Born and residing in Sydney Australia Mick has co owned and operated different schools (Jivamukti Sydney, Samadhi Yoga Newtown) over his 12 years of teaching. He currently owns and operates The Yoga Factory at Annandale. His emphasis nowadays is on inclusiveness, keeping things grounded and accessible to all. This means understanding the importance of fundamental asana and methodology. Giving students the time and space to breath, find stillness and progress. Finding the breath, observing, giving up desire and attachment to physical form and turning inward seems to tick all the boxes in terms of improving strength, flexibility and mind clarity. Rushing the process and forcing students into poses through athleticism and force is not conducive to peace nor progress. The practice is a process, not an event and every day it is different hence the need for some familiarity with the fundamentals. Morning classes will be building foundations and bringing awareness to the importance of bandha, drishti and breath. From these fundamentals we will progress over the two-weeks to new challenges with variations to suit all. Afternoon classes will be some asana with kriyas, pranayama and meditation. Mick likes to see who is in the class and what and where they are at, therefore creating an intelligent and safe practice for all. He hopes to meet some new faces along with some old faces and enjoy the retreat together at this very special place, Ulpotha. Molly is a joyous Jivamukti yoga teacher and yoga therapist from the UK. She is currently teaching in London at a number of studios and also works with private clients. 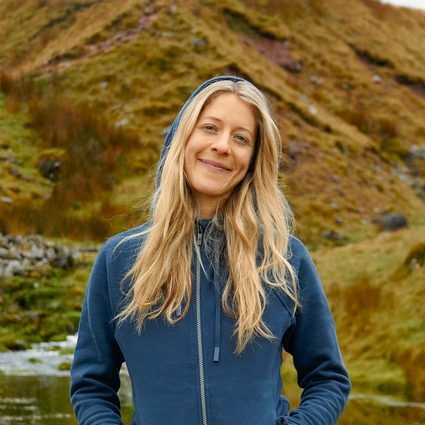 She leads retreats and teaches at events and festivals around the world.Having discovered yoga in Bali in 2007, Molly went on to further her yoga studies through intensive trainings in India, Australia & the UK. After practicing various styles including Ashtanga, Sivananda, and even laughing yoga, she specialised in Jivamukti Yoga. It is here that she found her yogic home, attracted to a system that managed to translate the ancient yogic teachings into a modern day setting. She loved the way Jivamukti yoga made a constant correlation between the yoga practice and life off the mat and helped Molly to see the practice as a way of transforming health, cultivating mindfulness, and reconnecting us back to our planet and to one another. After completing her teacher training in the UK she then embarked upon a year long apprenticeship under the infamous Cat Alip-Douglas founder of Jivamukti London. After a few years teaching, traveling and practicing, Molly found herself drawn to the more holistic side of yoga and became a certified Yoga Therapist in 2017 after studying at Yogacampus in London for 18 months.Yoga Therapy is a way of tailoring yoga to the individual and uses yoga to help with medical conditions, symptoms, or injuries with the ultimate aim of self-healing. It brings the ancient system of yoga into a therapeutical setting where the individual is met as a multi-layered being. Molly’s yoga now combines these two complementary yogic and therapeutic methods in a well-rounded practice which includes meditation, pranayama, chakra balancing, philosophy, vinyasa, hands-on adjustments, partner yoga, yoga nidra, and EFT. A special focus is placed on alignment and breathwork in Molly’s classes. At Ulpotha Molly will begin the morning with an energizing flow yoga class to invigorate and inspire your day. Classes include a creative sequence based on a particular philosophical theme, chanting, meditation and pranayama. In the evening Molly will offer a more explorative breath-focused approach which incorporates the principles of yoga therapy and prepares the practitioner for a deep soothing session of relaxation and yoga nidra. Molly is used to teaching complete beginners and advanced yogis alike and welcomes all levels to join the retreat. Paris-based Mika de Brito has been teaching yoga for over 20 years and is internationally recognized for his highly atypical approach to yoga. Traditionally trained, ie in following a master yogi, he was first initiated by Baptiste Marceau (son of the famous French mime artist) to the art of Ashtanga (a dynamic form of yoga originally called Korunta). This led him to follow the path of a Hindu Swami yogi for several years in the Himalayas, even dwelling in a cave in Gangotree in order to gain insight into a more traditional and meditative style. Later on he was invited by Sharon Gannon to follow the Jivamukti teachings in New York. These teachings and many yogic travels and study led him to develop his own very particular style. Connected to the present, open to the world around him and highly creative, Mika has brought this ancient tradition to his many students around the world. His demanding and yet playful approach has brought new life into the yogic discipline. He wants students to rid their minds of modern conditioning and adopt a liberating and compassionate practice, what he calls “being spiritual”, the fundamentals of which are to cultivate a good relationship with oneself, others and the world about us. He lives in Paris and shares his time between performing music, writing and teaching yoga in retreats and workshops around the world. We begin with breathing exercises on a metronomic sound in order to bring AIR into the body, then we slowly light the FIRE with sun salutations and the fire purifies the body by eliminating toxins through the WATER of sweat. These three éléments stabilise with contact to the EARTH, the asanas, the ground. Once all of these elements are united, then the fifth element ETHER can make its appearance through Meditation. 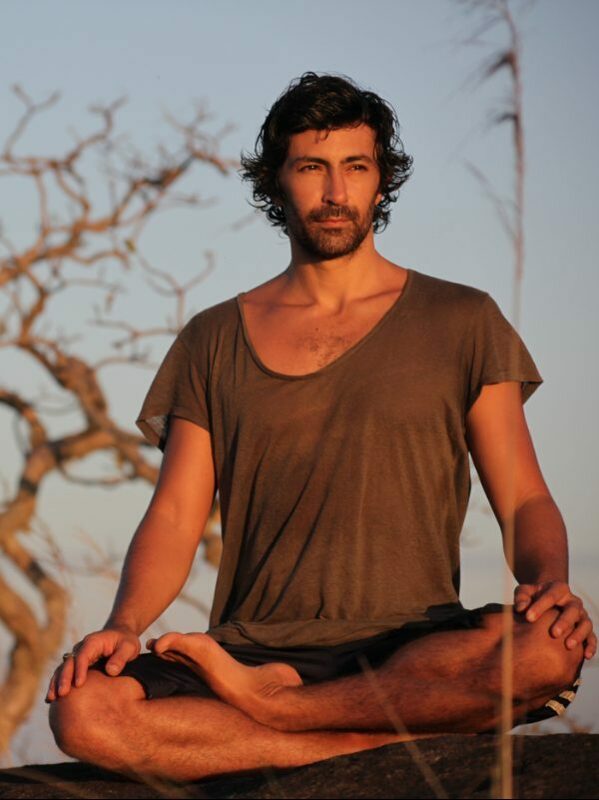 One of Ibiza’s top yoga teachers, James DeMaria has been teaching yoga to adults and kids for over 20 years. 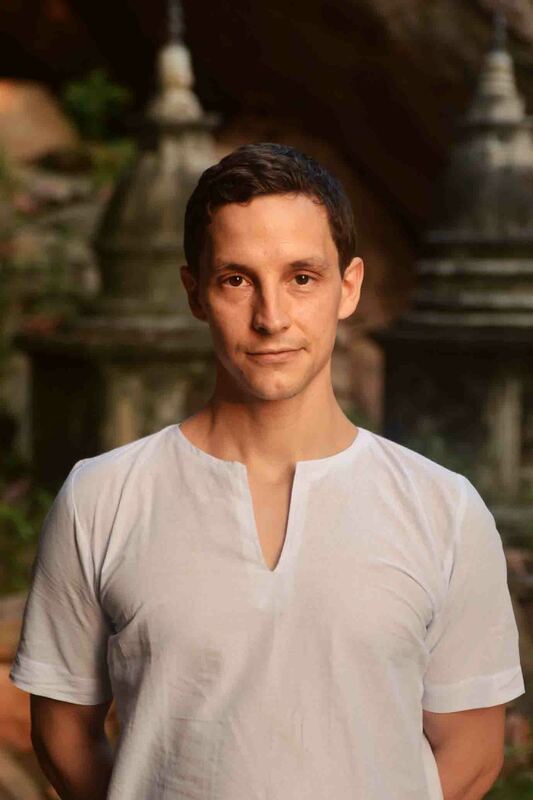 Before coming to Yoga, James trained as a professional dancer at the Central School of Ballet in London and completed his diploma at the London Contemporary Dance School. He spent his final year expanding his awareness of release technique attending classes with the Siobhan Davis Dance company, under the guidance of Larren Potter, Gill Clarke and Paul Douglas. During this time James also studied Pilates with Alan Herdman. Using a choreographic background to break down the fluidity between postures, breath & movement, James combines elements of dance, Pilates and Release Technique to create a balanced style to suit all levels. Classses include breathing techniques and Mudras to help circulation and the distribution of Prana (life force) throughout our being, relaxation & meditation techniques. The practice of Yoga postures according to one’s ability. 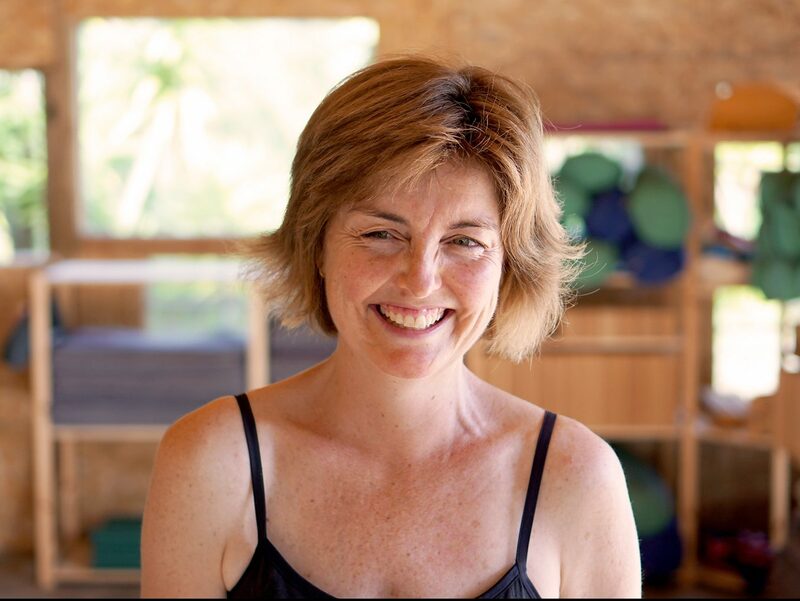 Georgia Marnham is a qualified Iyengar Yoga teacher with broad experience, having practised Iyengar Yoga for more than 25 years, and lived and taught in Australia, England, Sri Lanka, South Africa, Brazil and now Portugal where she is currently based. She has Junior Intermediate level 3 qualifications and has studied with senior Iyengar teachers from many countries and on several occasions studied at the RMYI in Pune, India with BKS Iyengar, his daughter, Geeta, and son, Prashant. Georgia knows first-hand the ability of yoga to rehabilitate and has a strong focus on the restorative and remedial benefits of Iyengar Yoga. She uses a clear and calm style of teaching with an emphasis on the individual needs of each student. Her classes in Ulpotha will include active morning classes ensuring correct alignment within the pose, leaving you to feeling energised and not strained, which is the hallmark of the Iyengar style. The evening classes will have a more restorative focus and giving a chance to focus on any individual issues you’d like addressed. Pranayama will also be included during the retreat. While deeply understanding that the depth of yoga comes with focusing the mind and learning the art of self observation and reflection, she manages to teach the asanas with joy and humour. She teaches both beginner and general levels. She has three children and practiced yoga through all pregnancies. Alex is one of Paris’ most loved and respected yoga instructors and a life long student of Iyengar. For the last 25 years, Alex’s passion has been to master the teachings of BKS Iyengar under the guidance of Faeq Biria in Paris. It was Faiq and Corine Biria who first encouraged and inspired him to begin teaching 12 years ago. Alex has since grown a large following in a some of Paris’ top yoga studios, in addition to teaching privately and in the business sector. He is a regular assistant to Iyengar instructor Corine Biria during her therapeutic classes at the Iyengar Centre in Paris. His profound knowledge and advanced practice of yoga (asana and pranayama), coupled with a precise yet relaxed teaching style, have led him to become a favorite amongst all levels of students — from beginners to the more advanced. Expect morning classes to be detailed asana practice and evening classes to be more restorative. The first week of this retreat will cover foundation practices and lead to more advanced work during week two. 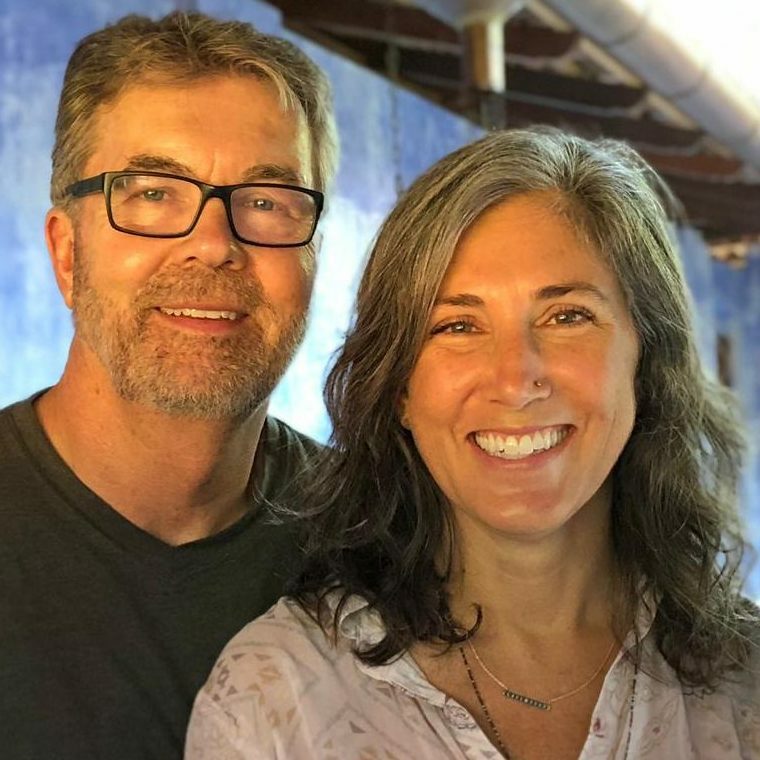 Working together, Richard and Melissa will bring a combination of trust, embodiment and renewed joy for your yoga practice – whether you’re just beginning your yoga journey or have years of experience. 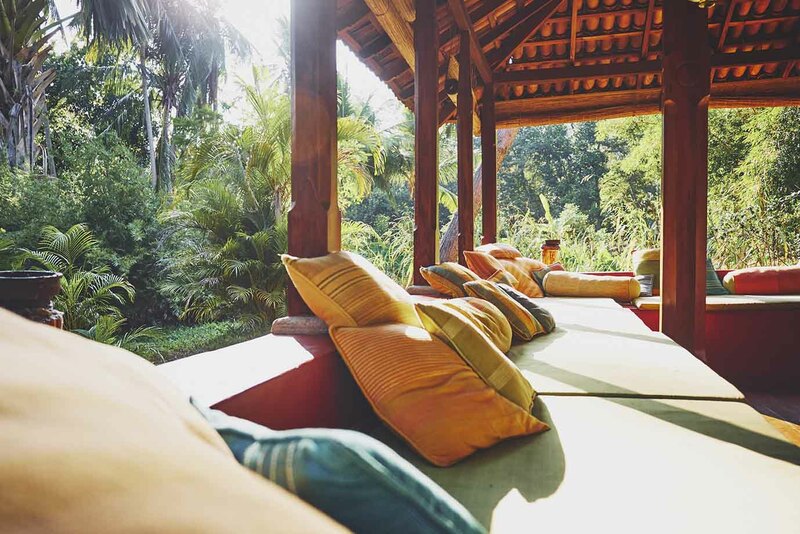 This retreat seeks to bring you back to yourself – back to bliss. Melissa will guide you through mindful, slow and empowering yoga sessions that include traditional yoga postures, somatic movement, mantra, restorative poses and meditation. Through this inquiry based practice, you will feel embodied, awake and aware in your body, mind and spirit. Some evenings we will venture to practice therapeutic Thai Yoga Massage, restorative yoga in addition to Richard’s Yoga Nidra sessions. Richard will be offering a progressive Yoga Nidra series based upon the iRest method (Integrative Restoration Institute). Yoga Nidra is an ancient meditative practice that only requires you to relax and listen along. It’s simple and easy to do, and very effective. The practice of Yoga Nidra investigates and explores emotions, thoughts, feelings, beliefs and images. We will venture each day into a deep meditation exploration to restore our essential nature and build resilience as we gently consider emotions, thoughts, beliefs, joy and bliss. We will construct the foundation of a grounded sense of being and awareness, that can lead us to a place of receptivity and openness to being with “what is”. Melissa, Yoga Alliance ERYT® 500 in SustainableYoga, Yoga Teacher Trainer for Restorative, Gentle, Prenatal and Therapeutic Yoga, Thai Yoga Massage Practitioner and AcroYoga® Level 2 Certified Teacher. Native Texan, Melissa currently lives in Calgary, Canada with her 2 sons and leads retreats in Southeast Asia, Europe and the United States. Her teaching style lends itself toward sustainable, slow yoga with mindful strength elements grounded in biomechanics, yogic philosophy, and deep rest. Her for desire is for students to connect within and integrate their own intuition in practice offering each student the opportunity to deeply listen to their own body’s needs. Melissa is adept at working with injuries and special conditions from beginner to more experienced. Find her at MelissaSmithYoga.com, and sign up to stay in the loop and receive a free Yoga Nidra. Richard Wilkinson is an iRest Certified Teacher with Richard Miller’s Integrative Restoration Institute for Yoga Nidra. He is also a Yoga Alliance ERYT® 200 yoga teacher through Power Vinyasa Yoga by Frog Lotus Yoga in Massachusetts. Richard’s teaching emphasizes our inherent mind/body connection and explores our body’s wholeness in a fun, all levels format. As the founder of the 200 hour Yoga Teacher Training, The Internal Peace Initiative, his overall mission is to “guide people to inner peace and happiness through movement, mindfulness and meditation”. Find him at InternalPeace.ca. 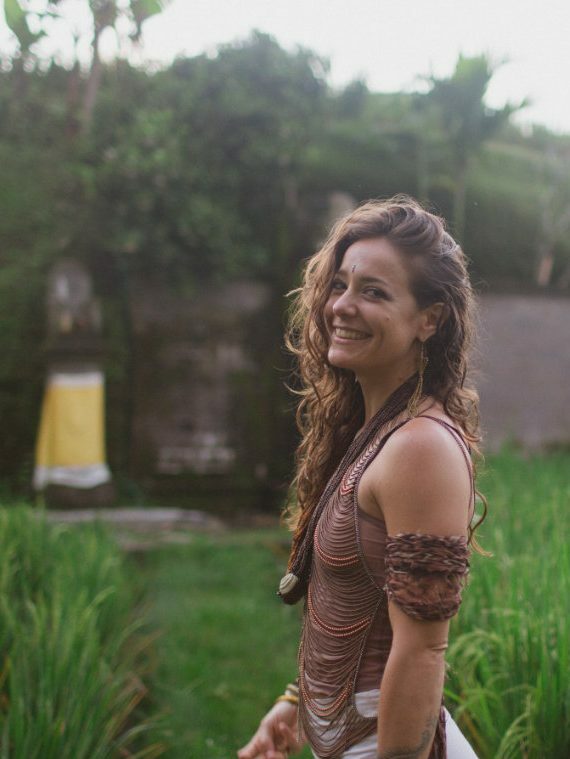 Originally from Canada, Malaika is now based in Bali from where she travels the world to teach and dance. She brings a wealth of knowledge and experience both on and off the mat to inspire those on the path of self-transformation. Malaika has been practicing yoga for over 18 years, which she has combined with teaching and performing African dance. Yoga and meditation have now become her refuge and tool for self-transformation. Malaika completed her yoga teacher training in Australia in 2005 in the ISHTA system (Integrated Science of Hatha, Tantra and Ayurveda). ISHTA is a holistic approach to creating a balanced yoga practice embodying its multi-dimensional nature. Since then, Malaika regularly teaches private and group classes in Australia, Costa Rica, Canada and Hawaii. She also created ‘The Ultimate Journey’, a five-day initiation retreat for women and elemental Trance Dance, an ecstatic dance journey through the 5 elements. Malaika is also a fully qualified Lomi Lomi therapist, a massage based on the traditional Hawaiian art of healing. Her yoga classes provide a blend of ancient and contemporary teachings catered to your individual needs and she will encourage you to respect and listen to your own body using Pranayama and Visualisation to purify and quieten the mind Asana to stretch, strengthen and balance the body. Meditation to expand your awareness and cultivate loving compassion for yourself and others, and Dance to reconnect mind, body and spirit and celebrate the gift of life.You will be guided through a practice geared to bring you well-being, greater self awareness, inner and outer balance of the sacred Masculine and Feminine, and ultimately self-transformation and inner healing. In Ulpotha she will be combining yoga and 5 Elements Dance Activation™. Her teachings are suitable for beginners and intermediate levels.